They went through a rocky patch when they briefly split last month. But it seems that young starlets Justin Bieber and Selena Gomez have sorted out their differences once and for all, after they were spotted kissing at a Salt Lake City airport on Friday. Proving to all the doubters that they are back together and are stronger than ever, Selena sat on her boyfriend’s lap as the pair indulged in a steamy kissing session while waiting for their flight. Selena and Justin seemed as together as ever as the 20-year-old jumped onto her beau’s lap, putting an affectionate arm around his waist. According to reports, the couple took some time out from their busy schedules to fly to Utah for a romantic ski trip, and were joined by Selena’s best friend Taylor Swift and her boyfriend Harry Styles. But it seems that not everyone is happy that the couple have reunited, as Selena has received a barrage of abuse from Justin’s devoted fans on Twitter. ‘Go back to your own friends and family. let justin breath and get your tongue from down his throat @selenagomez,’ (sic) wrote one of his followers. The pair were wrapped up for their Utah getaway, with Justin in a blue padded coat and Selena in a khaki number, while they both sported black jeans and knitted hats. 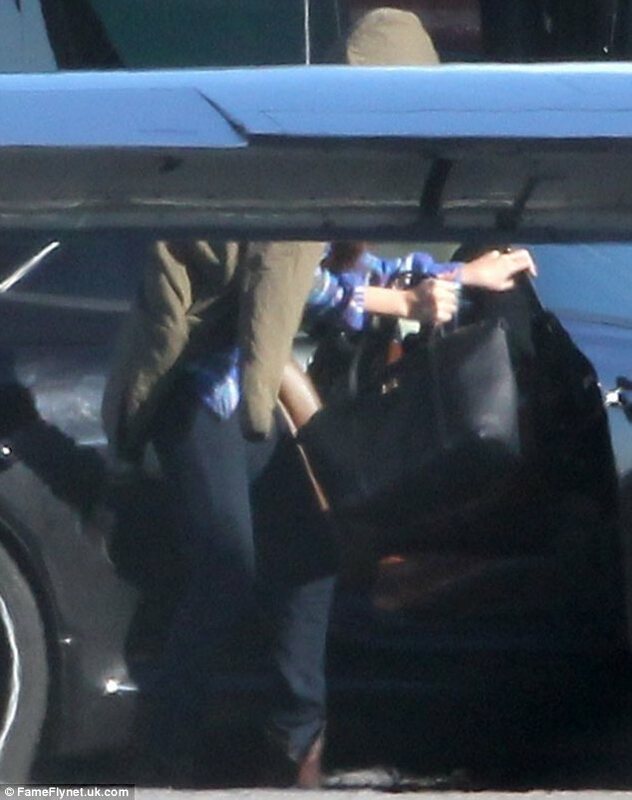 Selena was spotted arriving in Los Angeles on Friday sporting the same outfit, although Justin was nowhere to be seen. Two days earlier, Justin, 18, was spotted hopping on a private jet in Van Nuys, California, with a female companion presumed to be his 20-year-old girlfriend. It comes after a secret meeting took place between the on-again off-again lovebirds earlier this week. They first split in November, but were rumoured to have gotten back together only to split again. However as they canoodled while waiting to catch a flight on Saturday it looked like any issues the duo may have once had have now dissolved. According to Perez Hilton, the reason behind the most recent parting was down to Justin’s growing friendship with Selena’s ex-boyfriend. Selena was apparently livid when she found out her ex Nick Jonas had been hanging out with Justin like old friends.